Spend a memorable Saturday morning exploring Lands End — the western-most point in San Francisco. Start with a continental breakfast at the historic Cliff House with its spectacular ocean views, then walk through Adolph Sutro’s magical ‘kingdom by the sea’ with historian guide John A. Martini, regarded as the ultimate authority on this part of the City’s fabled past. In the annals of San Francisco history, few had the imagination and wealth to make dreams come true. 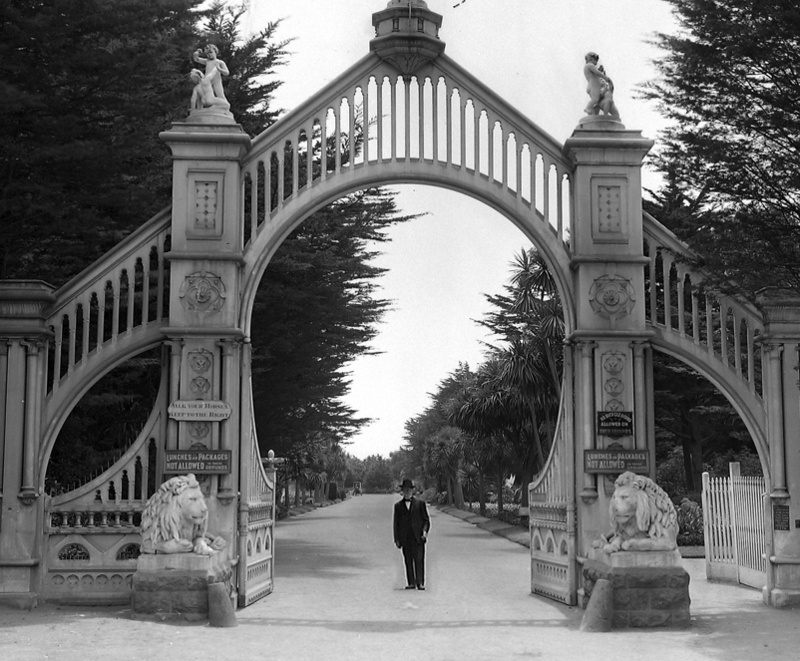 Adolph Sutro was such a man, one who parlayed his Comstock mining fortune into a magical land at the edge of San Francisco. No one knows the history of Adolph Sutro and his wonders better than John A. Martini, author, historian and retired National Park Service Ranger. Join John on a scenic and historic 1.5 hour walk as he brings Sutro’s “Pleasure Grounds” alive and recreates the area San Franciscans long considered their very own wonderland. This year walks are offered on four Saturdays — September 8, September 22, October 13, and October 27. The program begins with a continental breakfast at the Cliff House at 9:30 AM followed by the history walk at 10 AM. Cost: $40 per person. Special tours for groups and associations available upon request. Tickets WILL NOT be shipped, your name will be on a list at the Continental Breakfast. Note: Walk size is limited to 40 people and lasts up to 1.5 hours. The route follows city sidewalks and paved paths, but includes some uphill sections.